Meet our representative at the airport welcoming you to India with fresh flower garlands. Transfer to the hotel. Explore the city of Delhi visiting Red Fort, Jama Masjid, Chandni chowk, India Gate, Govt. Buildings, Humayun's Tomb and Qutab Minar. Overnight in Delhi. Travel by road to Jaipur reaching by lunch time. Afternoon city tour to see the Hawa Mahal (Palace of Winds), the Observatory, City Palace and the Markets. Overnight in Jaipur. Early morning visit to the Fort of Amer. Ride up to the gates on elephant back and explore the great fortress palace buildings. Afternoon free at leisure. Overnight in Jaipur. In the morning continue by road via Fatehpur Sikri to Agra ( 240 kms 6 hrs). In the evening visit the exquisite Taj Mahal and relish the spectacular sight at sunset. Overnight in Agra. Full day city tour of Agra. 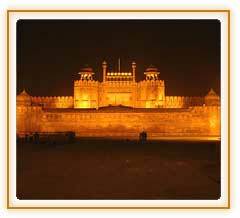 Visit Sikandra and Agra Fort. You will also have the chance to visit the shops of marble inlay and observe craftsmen at inlay work. Train to varanasi. 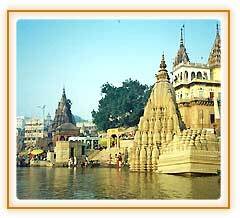 Morning arrive Mughal Sarai (Varanasi) and transfer to hotel. Tour to Sarnath. Overnight in Varanasi. board a night train to Bhubaneshwar. Morning arrive to Bhubaneshwar and transfer to hotel. Afternoon city tour visiting Lingaraj Temple, Dhaula Giri, Rajrani Temple, Parashurameshvara, Mukteshwara Temple and Vital Deul Temple. Overnight in Bhubaneshwr. Drive to Puri visiting en-route suntemple at Konarak Temple. Overnight in Puri. Morning visit Jagannath Temple.Afternoon at leisure. Overnight in Puri. Morning free.Evening tranfer to Railway Station for Calcutta night Train. Morning arrive Howrah (Calcutta) and transfer to hotel . Overnight in Calcutta. Morning transfer to airport for return flight.